This quilt measures 24 x 24. 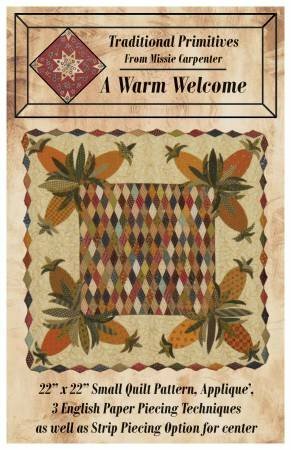 The pattern contains instructions for English Paper Piecing or Strip Piecing the center. The pineapples are appliqued and the diamond binding is unique in that it is reversible. It is an attention grabber!